Providing you the best range of reducing flanges, threaded flanges, pn flange, plate blank flanges, orifice flange and carbon steel screwed flanges with effective & timely delivery. Size : 1/8" NB TO 48"NB.Class : 150#, 300#,400 #,600#,900#, 1500# & 2500 #. Our firm is counted amongst the significant names, offering a wide range of excellent quality Threaded Flanges. These flanges are manufactured using optimum quality raw material and advanced technology. In tune with different requirements of our copious clients, we customize the entire range in various sizes and shapes. Our offered flanges have gained exceptional value amongst our clients for their defined features. We provide entire range at affordable prices. Materials used: Stainless Steel, Alloy Steel, Carbon Steel, Cast Iron, Steel, Aluminum, Brass, Bronze, Monel, PVC, Thermoplastic etc. Since our inception, we are instrumental in offering premium quality PN Flange. It is extensively used in different industries like cement and construction, pumps and petrochemicals etc. Besides being manufactured from high-grade raw material and latest technology, the offered flange is inspected properly by our vendors. Owing to features like durability and sturdiness, the offered flange is exceptionally valued by our precious clients. 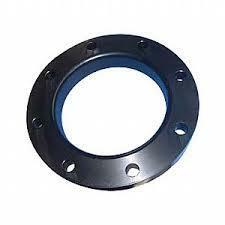 The offered flange is available with us in various sizes and shapes at affordable price. Blank flanges that are used for sealing the ends of a pipeline or any or any other connection are manufactured by us. 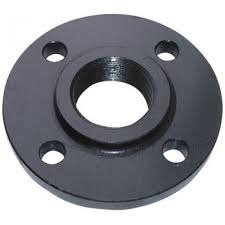 Our blank flanges have a kind of round plate without any center hold but with all proper bolt holes. 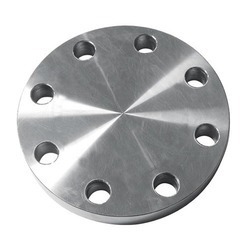 Our blank flanges are offered with plates with a raised face and back ups for easy installation. Superior quality mill plates gives these plates high weld ability & harden ability. Once the installed, these Plate Blank Flanges provide easy access to the line. These flanges are also custom made as per the requirement of the client's. 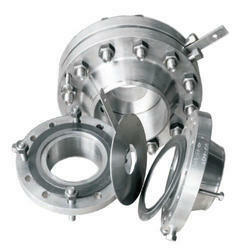 By keeping track with the market development, we are offering optimum quality Orifice Flange. It is used instead of the standard pipe flanges when orifice plate or flow nozzle is used. The basic purpose for this is to measuring the flow rate of either gases or liquids in the respective pipeline. 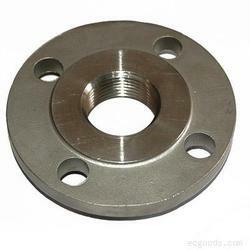 This flange is used in various industrial applications and is available in various sizes and materials. Our offered flange is widely appreciated by our prestigious clients for its precise design and durability. 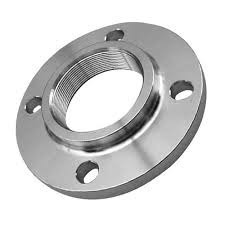 Our provided flange is manufactured by a team of our vendors adept professionals utilizing quality approved raw material and advanced technology. Our clients can avail this flange at the best industry prices. Orifice flanges are used instead of the standard pipe flanges when orifice plate or flow nozzle is used. The basic purpose for this is to measuring the flow rate of either gases or liquids in the respective pipeline. 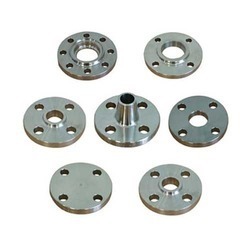 These flanges are used in various industrial applications and are available in various sizes and materials. 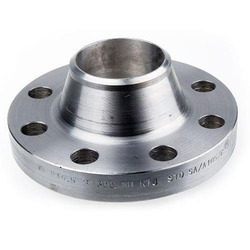 We are one of the leading manufacturers of Carbon Steel Screwed Flanges in India, we can supply Carbon Steel Screwed Flanges which include the method of includes forging and casting. And we manufactured as per the international standards, our range of Carbon Steel Screwed Flanges is acknowledged for excellent finish ability to withstand high temperature and corrosion resistance. We also customize these industrial flanges as per the requirements of the clients. Stainless steel : A-182 - F-304, 304L, 316, 316L, 309, 310, 317L, 321, 347, Duplex steel : 2205 (UNS No. S31803), 2207 (UNS No. S32760) carbon steel: ASTM/ASME SA-105, A-350 LF-2, LF-3, A694, SA-516-70, A36. Alloy : 20 (UNS No. N08020), chrome alloys: A-182-F-1, F-5, F-6, F-7, F-9, F-11, F-12, F-22, F-51 hast alloy : B-2, G, X, C 276 (UNS No. N10276), inconel: 600, 601, 625, 718 Monel : 400 (UNS No. N04400), 500 (UNS No. N05500), nickel ALLOY : 200 (UNS No. N02200), 201 (UNS No. N02201). Titanium : Grade I & incoloy : 800 (UNS No. N08800), 825 (UNS No. N08825), aluminum :1100, 2014, 3003, 5083, 5086, 6061, 7075TYPE : Weld neck, Slip-on, Blind, Socket Weld, LP Joint, Spectacles, Ring Joints, Orifice, Long Weld Neck, Deck Flanges, etc size : 1/8” NB To 52” NBwall thickness : 150#, 300#, 400#, 600#, 900#, 1500#, 2500# & 3000#. Standard : ASTM, ASME, ANSI, MSS, API, DIN, JIS.